In love, you’ve got to play to win…but one bad choice may cost you the game. C.J. is a sports agent on the rise on the heels of saving his brother’s football career, but to stay business, he needs more star clients—and he’s got his eye on the perfect pick. With his love life in a major slump, he’s got all the time in the world to entice the candidate to his side. That is until he meets Ty Baker. Also a sports agent, Ty reluctantly assumed leadership of her father’s sports management agency, taking over the reigns after he died to run it. But little did she know, she’d have to save it. Her father’s secret financial struggles landed her in a losing game and in desperate need of signing a superstar football player to help turn it all around. When Ty and C.J. meet at a pro-football conference, sparks fly, and they can both see love in the end zone…until disaster strikes. When each learns the other is trying to steal their biggest client, chaos ensues, and cut-throat competition threatens to tear them apart. In the game of professional football, only one side can win. 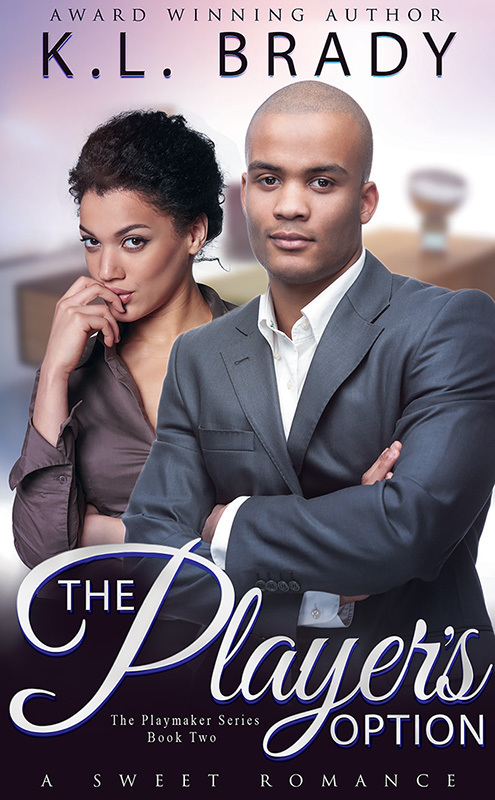 If you enjoy this story, you’ll love Book #3 in the Playmaker Series, The Eligible Receiver.